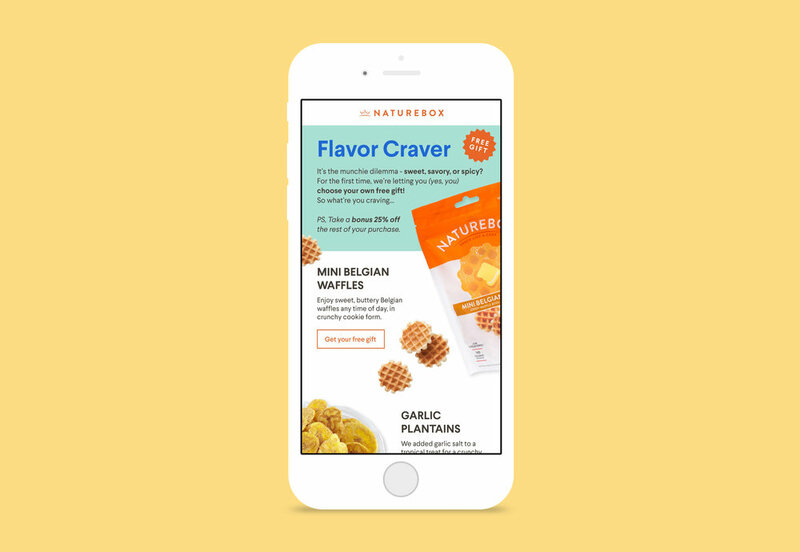 NatureBox is a multi-channel food brand offering 'better for you' snacks full of unique flavors you can’t find anywhere else. I collaborated with the creative team to design marketing for new and engaged audiences. The final assets were produced for the website, print and digital distribution. I had fun pushing the boundaries of the brand’s playful voice and enjoyed helping onset as a hand model. 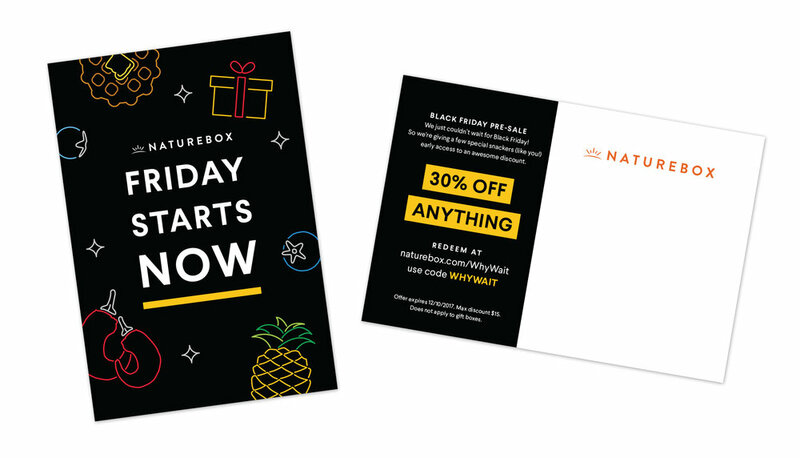 A sample of the acquisition and retention customer emails I designed for the NatureBox. Some favorite campaigns that I conceived and executed.